Are you interested in beginning a personal training career or taking your career in the fitness industry to the next level? 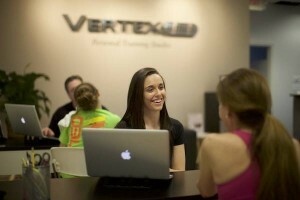 Read through the Vertex Fitness career opportunity to learn more. Seeking: A professional with a YES! CAN DO attitude, a friendly outgoing individual that can start a conversation with anyone, a team player that will do what it takes to win, a go getter that doesn’t stop until the task is completed, a student of daily self improvement practices that reads daily and a professional with a passion for helping others. If this is you… then APPLY today to start your career at Vertex Fitness. Thank you for taking the time to visit our career page. It’s my hope you have precisely what we need in a personal trainer so we can start your career at Vertex Fitness as quickly as possible. Let me tell you about the company and the position. 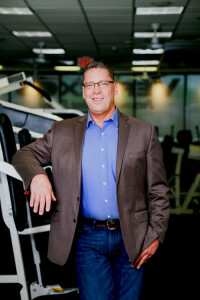 My name is Dwayne Wimmer and I own and run Vertex Fitness Personal Training Studio in Bryn Mawr, PA. I am a hands on owner, training clients daily and growing the business since 2001. Vertex Fitness is dedicated to helping men and women achieve their health and fitness goals through safe, efficient, effective, and most importantly evidence-based programming. 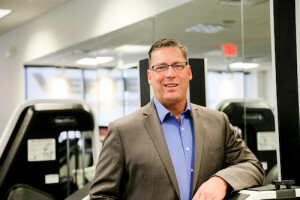 We are an established business in the heart of Philadelphia’s Main Line that has a strong client base but wants to grow and help more people get healthier. We need passionate and driven individuals that want to grow a business as we grow. Vertex Fitness is not like most studios. We focus on helping people feel better and live a longer more productive life through Safe, Efficient, Effective, Evidence-Based Strength Training. We do not subscribe to gimmicky programming but provide solid education on how the body responds to exercise. We do not supply a place for activity, “Exertainment”, or sport. 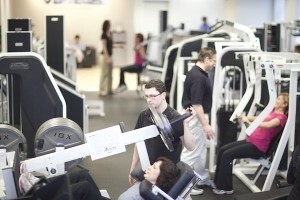 We create an environment for people to learn; not to just go through a workout. We apply sound exercise principles and techniques that help clients get their best results in the least time possible. We believe people don’t need to exercise more then 2-3 times a week. We do not provide nutritional advice or prescribe weight loss programs. It is outside the scope of a personal trainer to give that kind of advice so we partner with registered dietitians the help our clients. We are not in this JUST to make money, we are here to make a difference in our clients lives and to help the industry become more professional and results based. We will not mislead people and sell them things they don’t need or want. To be considered for a position, you will be required to complete a 6 week intensive training program requiring a minimum of 30 hours and 5 days a week to a satisfactory level. This training program will be administered free of charge, requiring only a $100 deposit for materials which will be refunded at the completion of the training. If a satisfactory level is achieved, a commissioned based position will be offered to you. As an employee you will be required to implement the Vertex Training System and actively participate in the recruitment and retention of the Vertex client base. Compensation for this position is simple, you will be paid based on how many sessions you train in a pay period and if you meet your goals of helping to grow the client base. You will receive between 30-50% of each session. Based on an average session price of $70, you can expect to make $21-$35 per session. As a professional in this service industry, you must be available for the clients at times that are convenient for them. We are looking for that professional that can commit 6 days a week with a minimum of 6 hours a day. Our standards are high and our expectations are great but that is because we earn our customers business every day. They expect the best from us just as we should of ourselves and our business. We strive to raise the bar and standards in the personal training profession and we take our roles very seriously. If this position sounds like the right opportunity for you, then click the link above and it will start the application process. Please fill out an application by clicking here.